'Fair Isle Field Mouse', Observatory, 2014. © Ian Andrews. 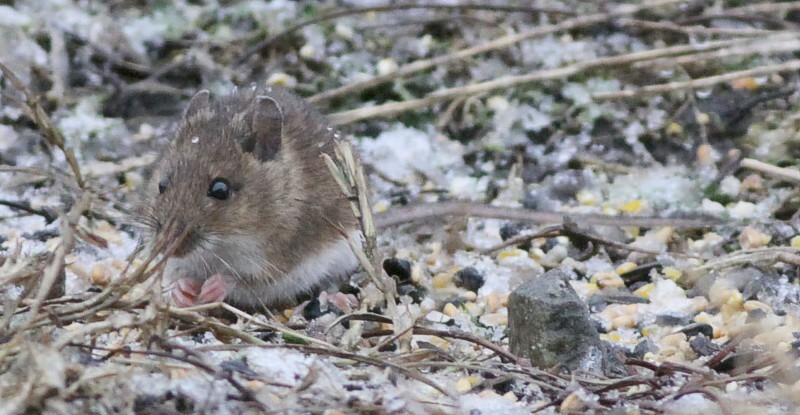 These mice are most readily seen at dusk under the bird feeders from the Observatory's lounge window. 'Fair Isle Field Mouse', Observatory, 2013. © David Parnaby. Field Mice are dark brown above and white below; when compared to House Mice, they have larger, more protruding eyes, larger ears and a longer tail. On Fair Isle, they are larger and darker (less sandy brown) than their mainland counterparts. The Field Mouse Apodemus sylvaticus, sometimes known as the Long-tailed Field Mouse or Wood Mouse, is widespread across most of Europe. 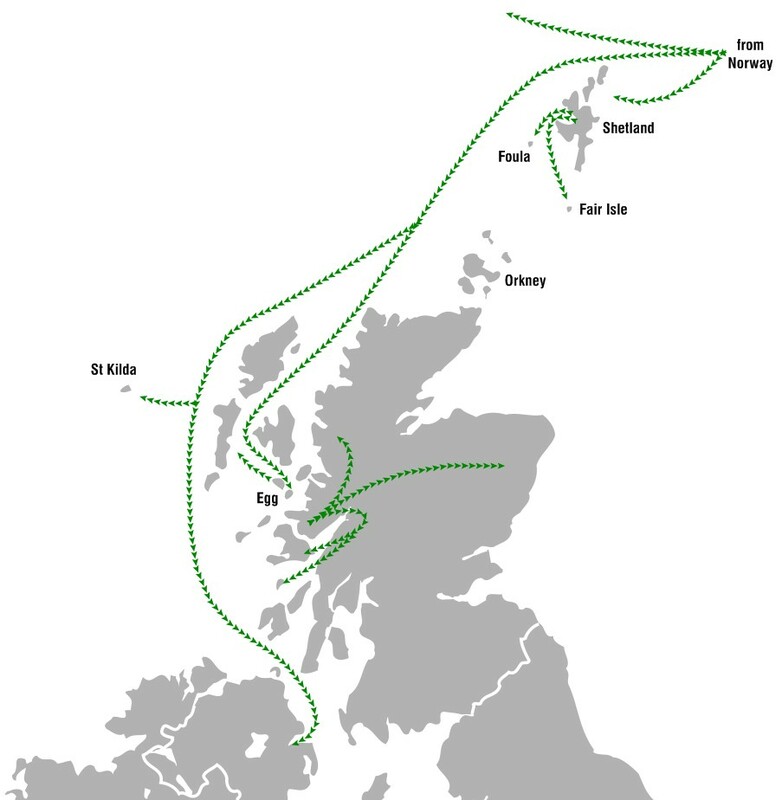 Throughout this large range it exhibits very little variation in appearance except on the islands around the north and west coasts of Scotland. In 1906, B. Kinnear examined six specimens of Field Mice from Fair Isle and considered them so different from those of mainland Britain (especially in terms of the shape of their brain case) that he considered them a new species, Apodemus fridariensis. Kinnear had followed the fashion of the early 20th century for the ‘splitting’ of species in this way and subsequent research reduced the status of the 'Fair Isle Field Mouse' to that of a sub-species, A. s. fridariensis. Prof. M. J. Delaney, working in the 1960s went further and felt that the only Scottish island Field Mouse that deserved recognition as a full species was that from Rum. Most authorities now agree with the National History Museum Checklist of Mammalia, which recognises no subspecies of Field Mouse from any Scottish islands. 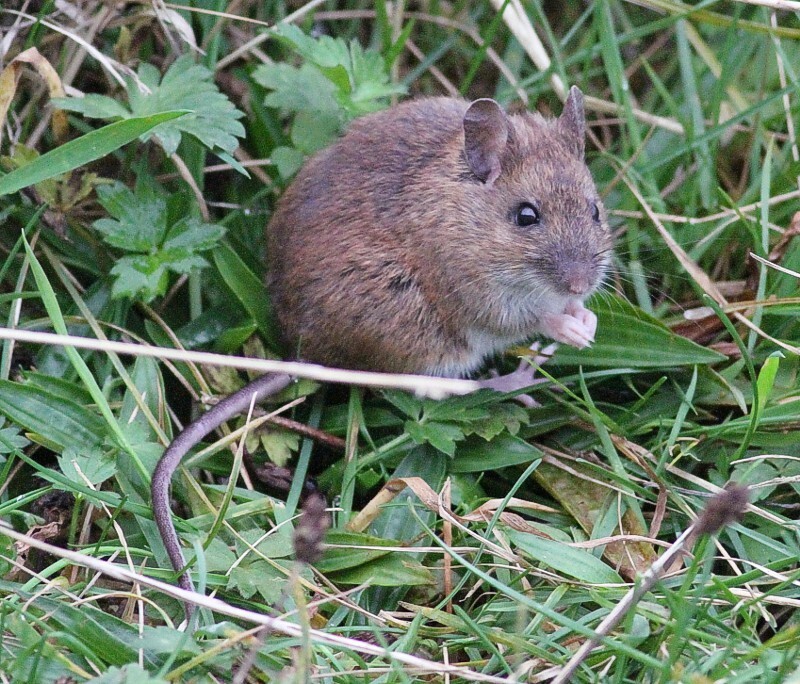 However, the 'Fair Isle Field Mouse' does look different from most mice on mainland Britain and, in appearance, looks most similar to the 'St Kilda Field Mouse' (formerly A. s. hirtensis). Like most of the island forms, both are distinctly larger than mainland Field Mice. It was once thought that the various races of Field Mice on Scottish islands may have been glacial relicts, in other words they had survived the Ice Age in these localities. However, it is now thought that all the island Field Mice have been introduced by humans. Work by Prof. R. J. (Sam) Berry, based on skeletal characteristics, has indicated that the mice were inadvertently introduced by the Vikings from Norway, the route by which these introductions occurred being shown on the map (right). There is not a total agreement about this, however, and one more recent piece of work, based on the parasites carried by the mice, suggests that the 'Fair Isle Field Mouse', in contrast to most other island populations, may have come from the British mainland. The Field Mouse is not the only mouse on Fair Isle - there are House Mice Mus domesticus too. The relationship between the two species where they occur together has been the subject of much research. House Mice used to occur on St Kilda before the human population of that island was evacuated in 1930 after which they rapidly declined to extinction. The reasons for this are not precisely known but may be the result of Field Mice having invaded House Mouse habitat and, through some form of competition, preventing the House Mouse from breeding. Berry, R.J. & Tricker, B.J.K. 1969. Competition and extinction: the mice of Foula with notes on those on Fair Isle and St. Kilda. Journal of Zoology 158: 247-265. Berry, R.J. 1985. The Natural History of Orkney. Collins, London. Delany, M.J. & Davis, P.E. 1961. 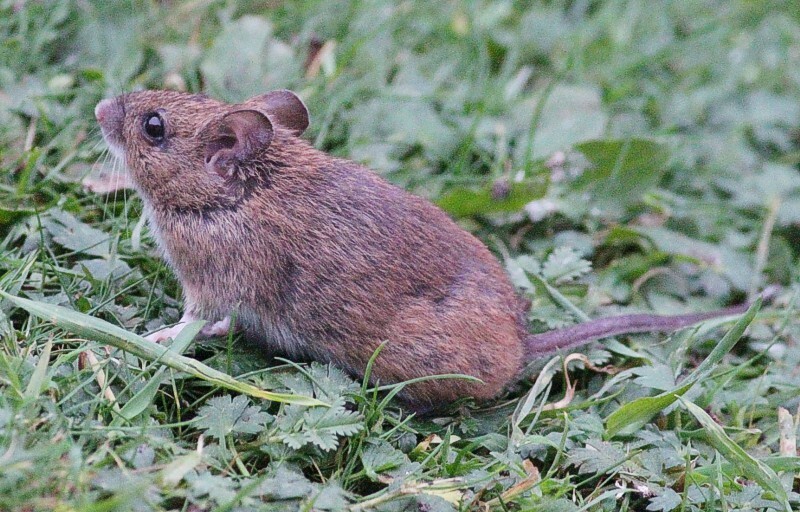 Observations on the ecology and life history of the Fair Isle field-mouse Apodemus sylvaticus fridariensis. Proceedings of the Zoological Society of London 136(3): 439-452. Flowerdew, J.R. & Tattersall, F.H. 2008. Wood Mouse. In: Harris,S. & Yalden, D.W. (eds) Mammals of the British Isles: Handbook, 4th Edition. The Mammal Society, Southampton. Wilson, K., Eady, P. & del Nevo, A.J. 1998. Origin of an insular population of the wood mouse based on parasitological evidence. Journal of Wildlife Diseases 34(1): 150-154. 'Fair Isle Field Mouse', Observatory, 2014. © Ian Andrews. Although previously recognised as a subspecies of the Field Mouse or even a separate species in its own right, current thoughts are that is should be treated as an island form. Suggested routes of colonisation of the Field Mouse (from a poster in the Observatory).